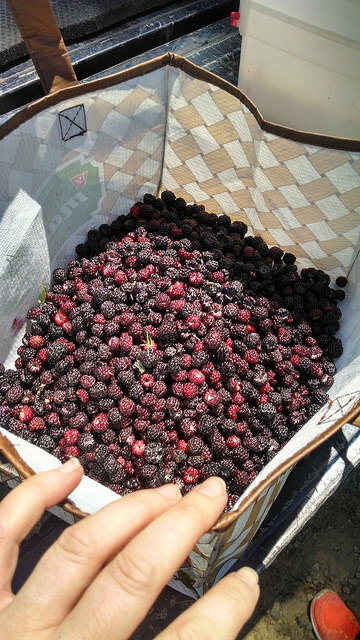 Sarah in Illinois is kicking off summer with a quintessential summer activity: a family berry-picking outing. One of the perks of my husband being a farmer and spending long days driving around backroads and secluded fields is that he finds secret spots. Like the best mushroom hunting spot. 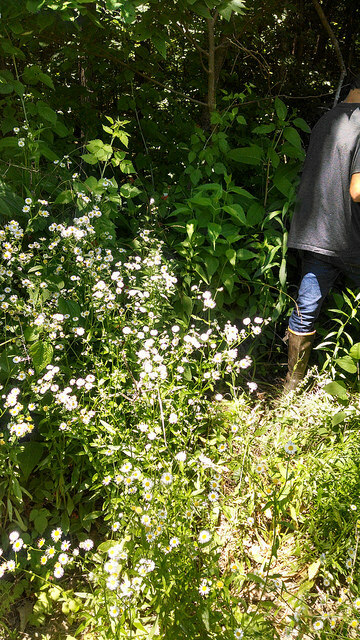 Or like one day this spring when he took us out into one of the fields that he was getting ready to plant and showed us an eagle’s nest. The nest was so very big. We waited for quite a while but never got to spot an eagle. His latest secret spot came to us Friday. 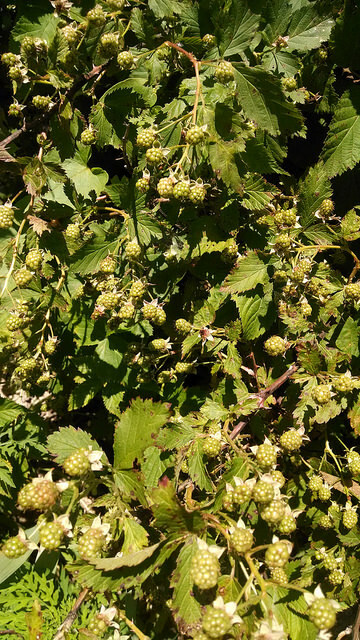 When he got home he said, “Tomorrow we are going raspberry picking!” In years past when he would see that the raspberries or blackberries were nearing ripeness, we would wait too long and the birds got to them first. So this year Steve said we had to go and we had to go immediately. 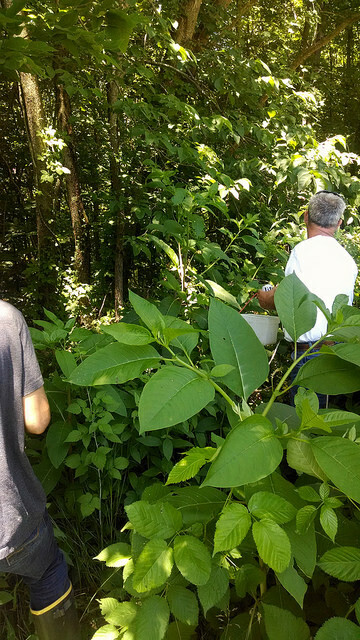 Saturday after breakfast we rounded up ice cream buckets and baskets, picked up Steve’s mom and headed to the field. I think we were still a little too early but we picked for at least two hours. 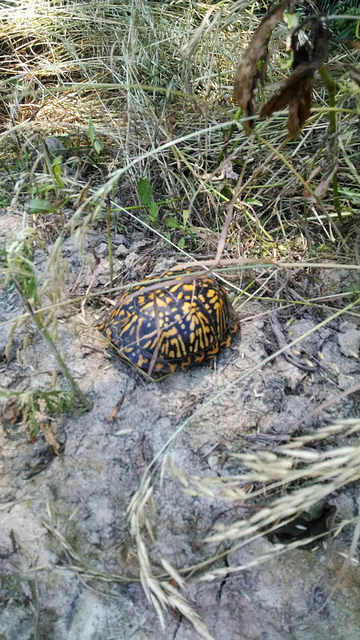 And believe it or not, after Julia posted about her run in with a turtle, we ran across one in the field. We ended up bringing home enough raspberries to freeze 3 quarts. We have given Steve instructions that as soon as he sees these blackberries begin to ripen to take us back! There were even more blackberries than raspberry vines! 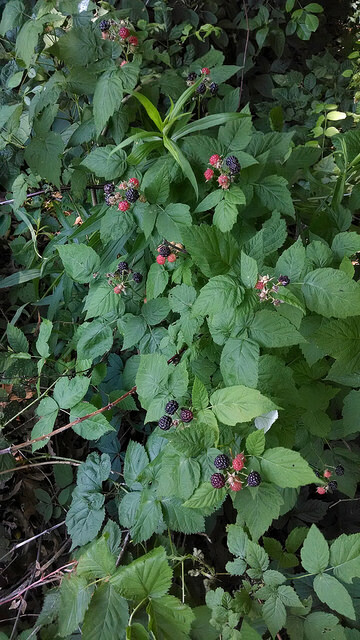 What a great bounty of berries, Sarah! Strawberries have just started in our area, so we have a little while to go until the raspberries are ready. I can almost taste the sunwarmed berries when I look at your photos. Enjoy! That’s a lot of berries! Yum. 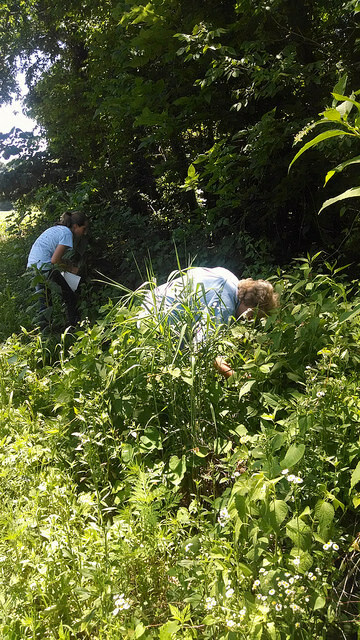 I always plan to pick the wild berries (there are millions around here) but never seem to get to it. This year I’m going to try harder, because I’ve started making smoothies, and have been freezing fruit for them. I make smoothies and overnight oats and use frozen fruit in both. That’s where a lot of these are going!